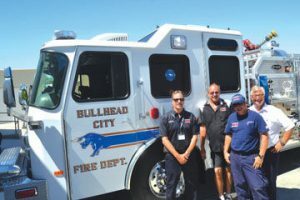 Firetrucks Unlimited was founded by Stuart Reyburn in 2007 to support fire departments by providing quality refurbished emergency equipment. He recognized that fire departments on tight budgets still need quality equipment to keep their communities safe. 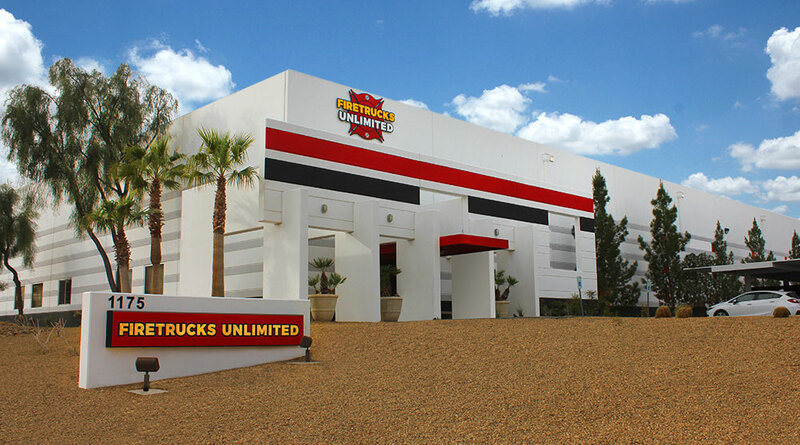 His experience with heavy equipment repair, business, and firefighting put him in a unique position to create a one of a kind business, Firetrucks Unlimited. The popularity of refurbishments and remounts caught on quickly, so his wife Cindy and two sons Brian and David joined the team to help keep up with the demand and grow the business. Since then, we have become the most experienced and largest fire truck refurbishment company in the world. We care about our customers and the communities they serve. It’s what drives us. To help fire departments achieve their public safety mission by providing the best emergency equipment at the right price. 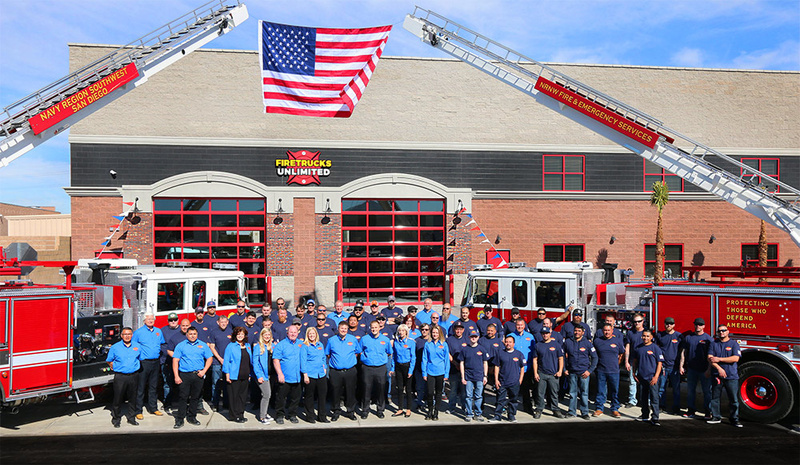 Firetrucks Unlimited employs over 60 technicians and administrative personnel. Stuart Reyburn is the founder of Firetrucks Unlimited. A Nevada resident since 1978, Stuart Reyburn served as a captain in the USAF and worked for EG & G at the Nevada test site as a firefighter. As a family man, Stuart left the military and started a landscape contracting business which grew into the largest in the state and 23rd largest in the nation amassing over 250 pieces of equipment. In 2006, he sold the landscape contracting business to return to his first love, fire trucks! As Co-Owner of Firetrucks Unlimited, Brian has utilized his diverse experiences to provide the path to success. As a project manager for Reyburn Landscape Companies, Brian managed all aspects of multi-million dollar landscape projects including contract negotiation, budgeting, scheduling, purchasing, and delivery. As a CPA, Brian helped successfully negotiate the sale of Reyburn Landscape Companies and transition the management of the Company. Brian’s knowledge of logistics, operations, finance and sales have contributed to the collective success of Firetrucks Unlimited. David has been a part of the team at Firetrucks Unlimited since 2011. His experience with technology, process and design allow him to develop solutions complex challenges. He is involved in various areas including: systems, procedures, facilities development, IT, marketing, and web & graphic design. Richard Ives is a team player with over 35 years of Management, Sales and IT background. His first firetruck sale was over 24 years ago. Matching a customer’s needs with a product or service gives him the satisfaction a sales position provides. He has helped many customers work with a dealership through warranty, service and sales related problems. Give him a call! Jeff started in the fire apparatus manufacturing industry 1994 as a purchasing and parts representative. He has worked for various fire apparatus manufactures as a service/warranty manager and a sales person for new apparatus. His experience with fire apparatus helps him provide excellent service and advice to our customers. He enjoys the challenges of the fire industry and looks forward to working with your fire department on your next parts or equipment purchase. Jesus is an essential part of the supply chain at Firetrucks Unlimited. He works closely with other parts department personnel to ensure the technicians have the parts they need to keep the projects on schedule. Kyle has 23 yeas of experience in the automotive and fleet refinishing industry. He joined the Firetrucks Unlimited team in 2011 as the head painter and now has been the paint shop manager for 2 years. He takes pride in making sure you firetruck or ambulance looks good. ..And many other valued employees.